“The average theatre does not cater to a clientele of artists–illustrators, painters and sculptors–because there is only one real artists’ colony in the United States, Greenwich Village, New York City. But the Sheridan Square theatre, situated in the heart of the Village, must cater to artists and Managing Director Edwin Emery makes an intensified campaign to reach them. “His weekly combination house organ and program makes a special appeal on its front cover to artists, as is shown in the accompanying illustration. “It is a fourteen page magazine, 4 3/4 by 7 inches, giving current and coming attractions. This is mailed regularity to 5000 names on a live mailing list. It not only appeals to artists but to those people who like to watch artists and naturally gravitate toward centers where artists congregate. And they congregate at the Sheridan Square. 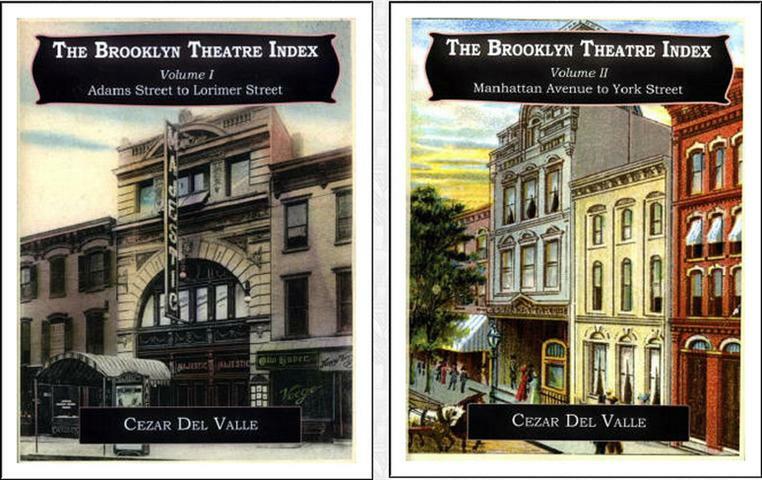 Cezar Del Valle is the author of the Brooklyn Theatre Index, chosen 2010 Best Book of the year by the Theatre Historical Society. He is available for theatre talks and walks in 2014-15, historical societies, libraries, senior centers, etc. 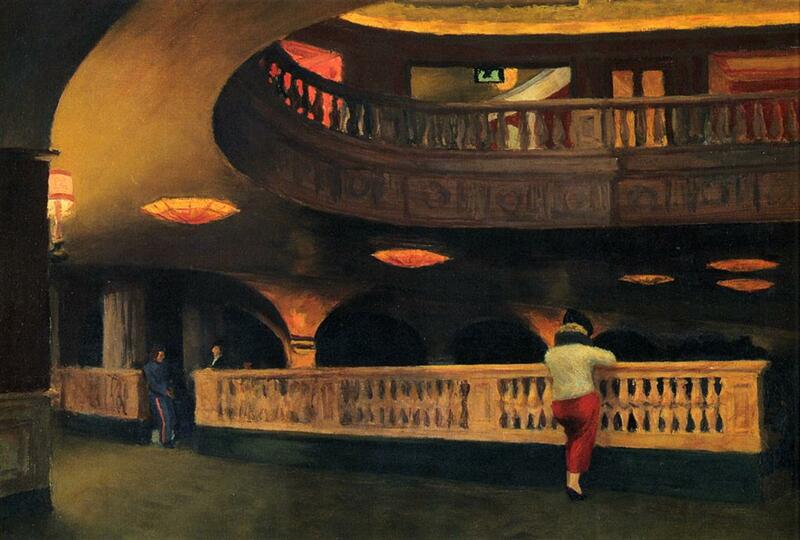 “A neighborhood theatre with a metropolitan, cosmopolitan and suburban patronage. 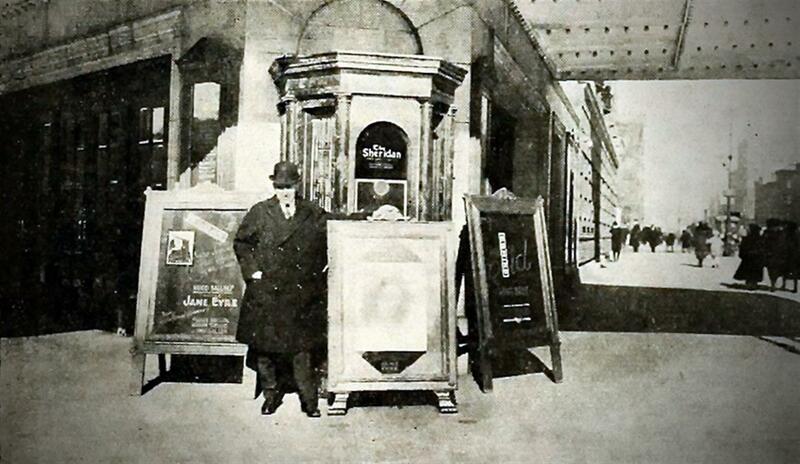 That is the paradox named ‘Sheridan Theatre,’ temple of the cinema art, located, Greenwich Village; manager, Edwin T. Emery. 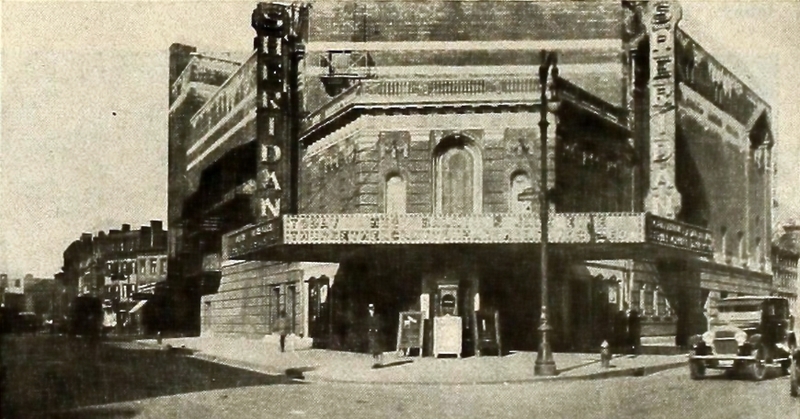 “This youthful venture at Twelfth Street and Seventh Avenue, New York City, is one of the most spacious as well as one of the most beautiful of the picture palaces of the East. 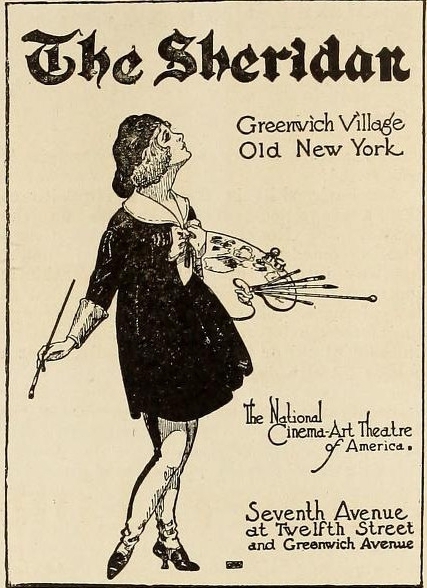 “Because of the legends of Greenwich Village, its qualities as an art followers’ rendezvous and through the exploitation talents of Emery, all classes of people are attracted to the Sheridan Theatre. “Therefore the Sheridan’s Sunday audiences embrace the commuter from Morristown, New Jersey, the Bronxvillan, the Harlemite and the downtowner; the artist, the collector, the fancier,in his limousine, the folk of the stage, idle on the Sabbath, and the worker from lower New York. Cezar Del Valle is available for theatre walks and talks in 2013. He is the author of the Brooklyn Theatre Index, chosen 2010 Best Book of the year by the Theatre Historical Society. 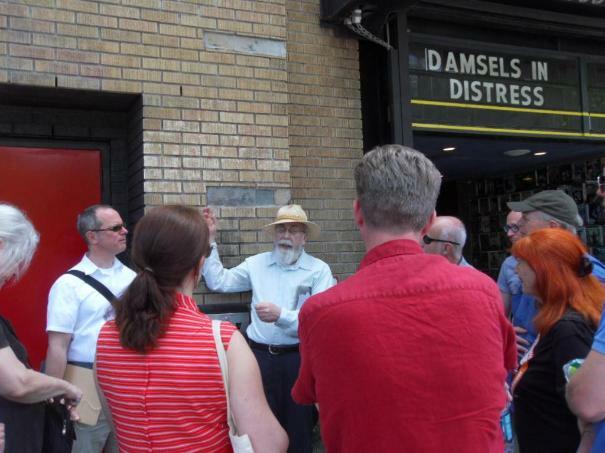 After a brief hiatus, I am once again available for theatre walks and talks. 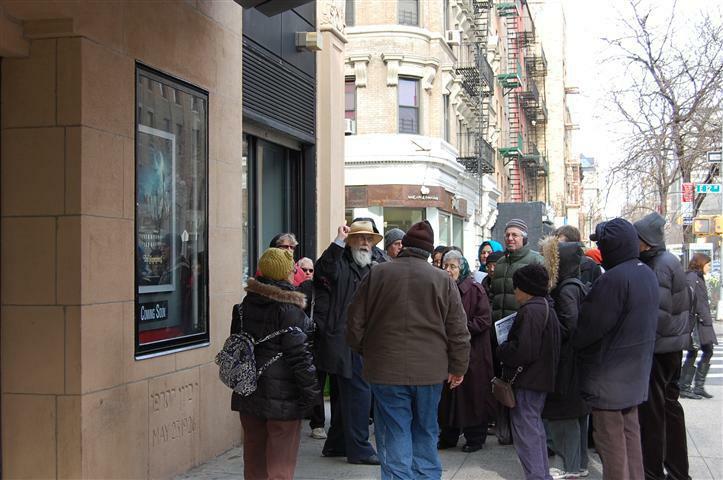 The National will be one of the sites featured on my Footsteps of Yiddish Theater walking tour for the Greenwich Village Society for Historic Preservation on Sunday, June 8, 2012, 11 a.m. to 1 p.m.
Meeting location available upon registration. The new Adler-Thomashefsky National Theatre, on Houston Street and Second Avenue, opened in a blaze of glory on Tuesday night, September 24. The house was taxed to its capacity besides there were many people standing. On this occasion Boris Thomashefsky appeared in three acts of “Blind Love,” by Z. Libin; Jacob P. Adler was seen as Shylock, in the last act of “The Merchant of Venice,” and David Kessler was seen as Schlomele Charlatan, in the second act of the play bearing that name. 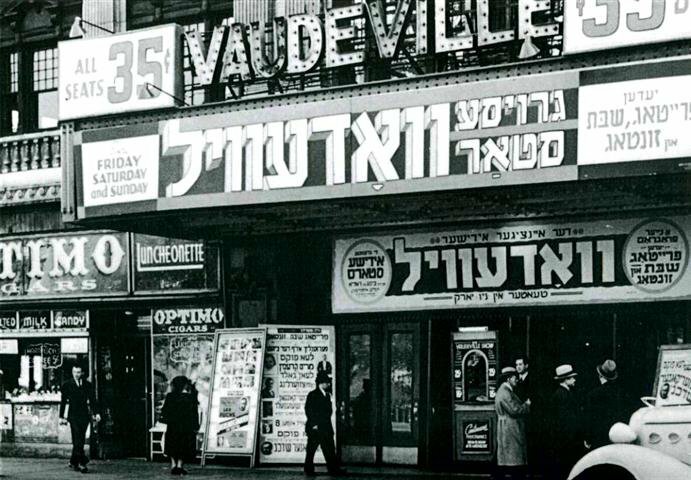 Photo of the national in the 1940s when it featured Yiddish vaudeville and “the latest in Jewish talking pictures”–“complete change every Friday” (part of the Theatre Talks LLC collection).